Home / News/Metal/Trollwar unleash their new album, “Oath of The Storm”! Trollwar unleash their new album, “Oath of The Storm”! Hailing from Alma Québec, Trollwar combine the best elements of folk, melodic death and black metal into something vital, potent and uniquely their own. 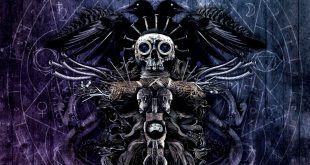 Building on the foundations created by the likes of Finntroll and Amon Amarth they forge fiery folky metal that is unique and complex. The band has recently unveiled a new album, titled “Oath of The Storm”. The latter contains four remastered songs with refined orchestration from their 2017 EP “The Traveler’s Path”. As well as eight brand new adventurous and epic tracks perfect for the soundtrack of your upcoming raids. Previous Mom Jeans announce 2019 tour dates! Next Get to know the Spanish punks W.A.B. !